The ultimate goal of these projects is to raise the level of patient care for companion animals and improve public health around the world. Total number of dogs vaccinated in Goa during 2018 = Over 97,000!! Mission Rabies Goa (Figure 1) have done it again! For the second consecutive year, the vaccination teams have covered the whole state of Goa – an area of 3,702 km2 (1,429 square miles). The teams have worked tirelessly and walked systematically, day after day, across the state vaccinating as many dogs as possible. The map in Figure 2 highlights the total vaccination coverage achieved during 2018. In 2014, we pinpointed a growing need in Africa for more advanced veterinary care. In response, AFSCAN was created. AFSCAN aims to facilitate the creation of a sustainable network of companion animal veterinarians, associations, and specialist groups in Sub-Saharan Africa. Together, these groups form new small animal veterinary associations (SAVAs) across the continent. Each SAVA is the driving force behind collaborations, training, and best practice sharing, which have proved pivotal in enhancing overall standards of veterinary care in other regions of the world, notably Eastern Europe. Our Fun(d) Run tradition began in Auckland, New Zealand in 2013 as a way to raise funds and support the AFSCAN project and Mission Rabies in the fight against rabies. Since 2013, we have traveled around the world to places like Cape Town, South Africa; Bangkok, Thailand; and Cartegena, Colombia as an integral part of the WSAVA Congress. In 2017, we will bring our tradition to The North American Veterinary Community Conference (NAVC). Over 1,000 participants have joined to help raise awareness and donate to a wonderful cause, and we look forward to continuing our tradition globally. Supporting key individuals (AFSCAN Ambassadors) to form new small animal veterinary associations in each participating country. Setting up of veterinary associations in Kenya, Namibia, Nigeria, Tanzania and Uganda. Mission Rabies, a project launched in 2013 by charity Worldwide Veterinary Service, aims to make a difference in the lives of people and the dogs in the world’s rabies hot spots. Beginning in India, Mission Rabies aims to prevent the spread of rabies to people by vaccinating dogs. In India, the project’s goal is to vaccinate 2 million dogs over the first 3 years. To achieve this, veterinary volunteers are being enlisted from around the world. These volunteers travel across the country in an all-terrain mobile veterinary hospital truck to provide free vaccines. In addition, Mission Rabies distributes educational material among locals to educate them about the dangers of rabies and how to reduce the risk of contracting it. 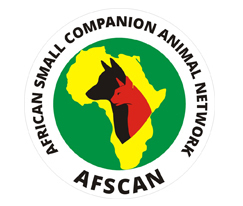 The African Small Companion Animal Network (AFSCAN) works to raise standards of veterinary care in Sub-Saharan Africa through enhancing the education offered to veterinarians. It is also capacity building through facilitating the creation of a sustainable network of companion animal veterinary associations and specialist groups. These Grants will support the training and development of both veterinary students and academics working in Africa today and, we hope, inspire a new generation of African veterinary researchers. Importantly, we hope that they will also increase the current knowledge base of diseases and welfare issues affecting companion animals in African and build links between African veterinary researchers and laboratories around the world. 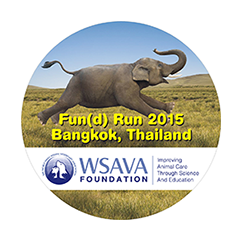 Learn how the WSAVA Foundation is using your support to advance the global standards of veterinary care.